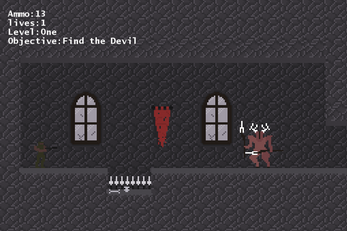 Devil's Manor is a rogue-like side-scrolling game where you are tasked with killing the Devil himself, armed only with a pistol and 13 rounds of ammunition. You must make EVERY shot count, your life depends on it. 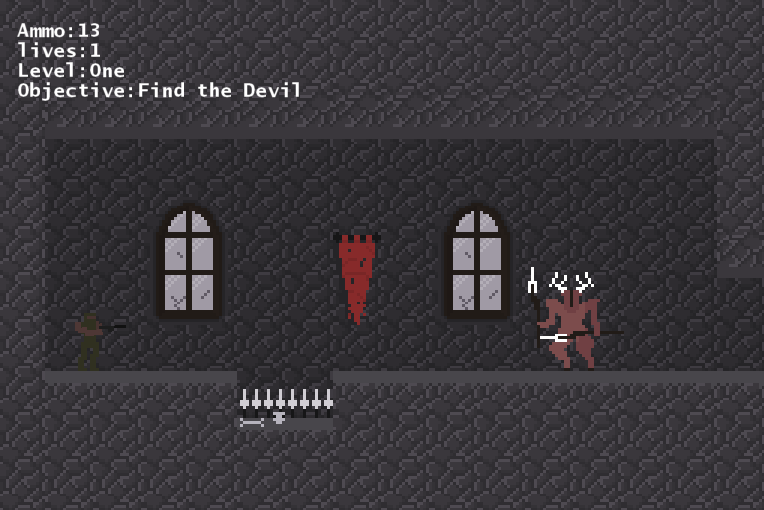 This game was made in less than 72 hours for the HEART JAM. A&D to move left and right. S to crouch, S + A or D to crouch walk. Point the mouse and click to shoot at the cursor. Press escape to restart the game.